The Aluminum Vase is an inverted style vase that offers simplistic beauty and a timeless design. In ground vases may be installed at any burial space on the grounds. 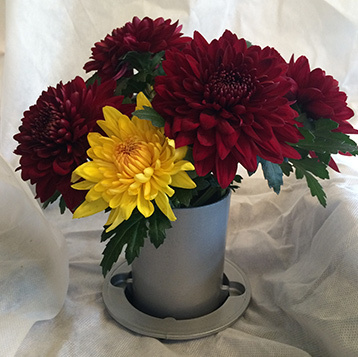 A vase allows visitors to display a bouquet of flowers when in the upright position. When not in use, the vase is easily inverted into the ground. Purchase price includes installation. Vases are installed April through November. Download the form to order by mail.